Vijay Uttarwar started off with farming, but now owns Naturell India, the maker of RiteBite Protein Bars and Protein chips. He tells us about his journey and the road ahead. The health and wellness foods market of India is worth Rs 33,000 crore and is growing at over 8 per cent per year. It is also a market that welcomes new players with open arms as it continues to grow. While FMCG brands are bringing new products each day in this segment, there are players that completely focus on this segment, yet look at competing with the FMCGs. One such brand is Naturell India, one of the market leaders in the nutrition bars category, now aiming at disrupting the chips market with ‘healthy chips’. This is the fourth company I directly founded or co-founder. There are two other companies where I played more of an advisory role and the initial investor. My career is probably different from most of the people that you may have come across. I come from a very small village near Nagpur and a farming family. So, after 12th, I chose to go to agriculture. I did my bachelors and masters in agriculture and this was 1984, a long time back. For my masters, I used computers for statistical analysis and 1986, in Nagpur, computers were not something as common really. That kind of fascination, I developed interest and instead of going back on the farm, I enrolled in the Florida Institute of Technology and did my master’s in Computer Science. In a couple years, I worked in Silicon Valley in California for 5 years, co-founded a software company. It was a B2C in project management software. Then after that Soft Plus was the second company. Indian origin entrepreneurs in the US always want to have their software offices in India. So, one of the software teams was working out of Mumbai. This was around 1995. The technology expertise was not very significant in India at that time. We were really not able to build a product out of India. I took the responsibility and moved from US to India in 1997-98. I was going to take a General Management role, so instead of just moving, I spent one year in London for a general management program. After that I moved to India. In 2000, Soft Plus got acquired by US interactive. After that, the next company I started was Unwired Soft. It was e-commerce on mobile platform. While running that business, I got a feeling of giving back to the society. So, I thought about what I can do for the farming community. I came across an interesting herb called stevia, natural sugar. Naturell India and Naturell Inc (California) are two companies with common ownership. However, the activities majorly take place in India. We were the first company to launch stevia in an organised manner in 2004. That caught my attention for 2 things, one that stevia is supposed to have income about 3 times higher than wheat or cotton. There was no market for stevia per se. So, Naturell as a company started. So I opted out of software business and took responsibility of Naturell. We got a wonderful start. We were very lucky and got some innovative programs. But I had my learning. Six months down the road, I got a letter from the government that stevia was not on the approved list of sweeteners. Instead of saying negative things about the government, we changed it. What made you bring nutrition bars? I developed interest in consumer business. Having spent about 15 years in the US, nutrition bars was an upcoming industry there. From a niche segment, it was coming into mainstream in the US in 2004-05. Normally, what becomes popular in the US, India tends to follow it. So I thought let me try that. So, we were one of the first companies to have brought nutrition bars to India. We started as a snacking business. That made us go through different learning phases. We initially positioned it as healthy chocolate. Frankly, that strategy did not work. We relooked at it, repositioned it and reformulated it. When someone picks up a chocolate, they have certain expectations in terms of taste and mouth feel. A nutrition bar just cannot give that. Chocolate has nothing to do with health. You don’t care how many calories are in it, you just want it. The observation was that when the grown-ups eat, that’s where they appreciate the nutritional benefits. 15-45 is the target customer. So, we decided that instead of making it a chocolate replacement, we found some benefits. Call it mass customisation, we defined our market into 3 different segments – one was calorie conscious, second was for health conscious gym goers, third was women nutrition. So there are 3 bars – sugarless 99 calorie bar, a workout protein bar and a women bar. Then, our traction started much better with the consumer. So, within different segments, protein is what we really picked up. When we started talking to gym trainers and people who work out, they liked it. But they wanted higher protein and low carb. So we came out with a 20 gm protein bar and low carb and 5 gm fibre, that too as meal replacement. That started doing very well and is one of our fastest selling products today. Then we came out with a 30 gm protein bar which is like a full meal. It’s like hunger satisfaction of eating a thali. In the bar market, we are the market leaders. We have a 60 per cent plus market share in India. Our range of products has 15 different products from snacking bar to 30 gm protein bar. Is the product available in the US also? We do sell it in the US. But most of it is available online. Tell us more about your unique products? We have a special formulation product that has protein with herbs. The segment we have taken there is weight management, stress management and immunity. We all know Chyavanprash is our immunity bite. So we have an amla, honey ginger bar with tulsi and high protein and high fibre. It’s called Eazy Immune and there’s Eazy Slim. There are different herbs which help with metabolism. We all drink green tea, it has anti-oxidants etc. Each of that bar is equal to 2 cups of green tea. But that’s a niche product and the volumes are not as high as protein. It’s in a limited number of stores. Outlets like Le Millenium etc will have the herbal bar. What made you bring Max Protein chips after bars? When somebody talks about snacks, the Indian consumer typically thinks of something salty, spicy. We think of samosas and jalebis. On the other hand, in the US if you think about a snack, a nutrition bar will be among the top 5 choices. In India, it won’t come even in the top 50. In the packaged food category, there are two major players that are Haldiram’s namkeen and Lays chips etc. We all eat these things and later feel guilty about it, the primary reason being that these are all high fat foods and that too with unhealthy fats. In namkeen, the fat content is about 30 to 40 per cent on an average. Also, when oil gets heated, it becomes unhealthy. I thought as to what can I do to take the goodness of bars and apply it to the consumer snack market. That’s where the Max Protein snacks came in. It is 7 grain high protein chips. They are non-fried and non-baked. A pack of chips has 10 gm protein, which is equal to a large glass of milk or almost two bowls of dal. It has 3 gm of fibre, which is equivalent to one serving of oatmeal, and we use healthy fat only to apply seasonings and spices. It has 65 per cent less fat as compared to any other namkeen. We’ve used rice bran oil and that too is not heated. When you try it out, you’ll love the taste. Till now, I had been personally funding the business. Now, we are in the process of fund-raising for marketing investments. We have initiated contacts with some investments. What was the kind of investment that you started Naturell Inc with? What have been the results? I personally invested almost Rs 10 crores. We got a break even and some profit last year. We are growing at about 40 per cent CAGR. We are selling about a million bars every month. Do you think the market of women nutrition has matured? It’s a very large segment. But it all depends on the type of product. For us, nutrition bars is a niche category and within that, if you segment it specifically for women, it becomes even more niche. The overall revenue from that doesn’t really justify having a whole separate line of products. But it will pick up some day, fairly soon. As the CEO, when you’re not at work, what are you spending your time on? I’m an outdoor guy. I like going for treks. I go to places like Matheran, Lonavala, around Mumbai, where I go and have a good time, especially during the monsoons. 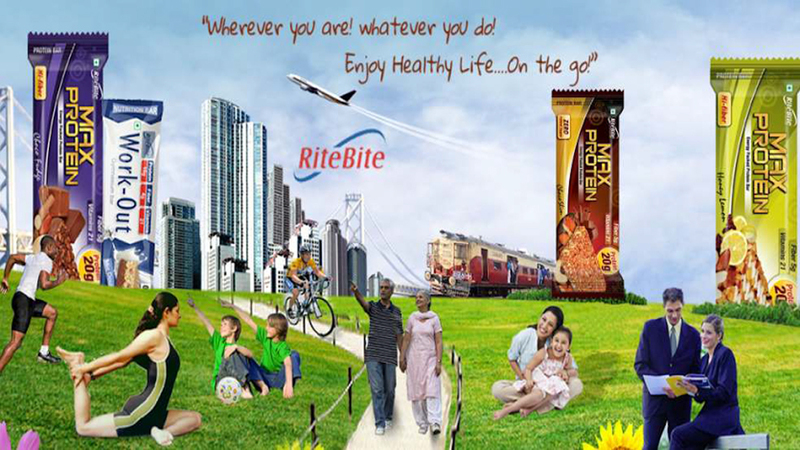 Where do you see India’s wellness foods market 5 years from now? Where do you see Naturell India five years from now? In terms of the wellness market, it’s one of the fastest growing segments. The reasons are simple. The affluency of Indian consumers is increasing significantly. With this comes the consumption of premium products and awareness of eating healthy and nutritious food. At Naturell, we have a simple philosophy that we want to be the market leader in the nutrition bar market in India. We want to be seen as the protein brand of India. So we are coming up with more protein products in the future. We plan 30 branches by Dec’17: MultiFit..